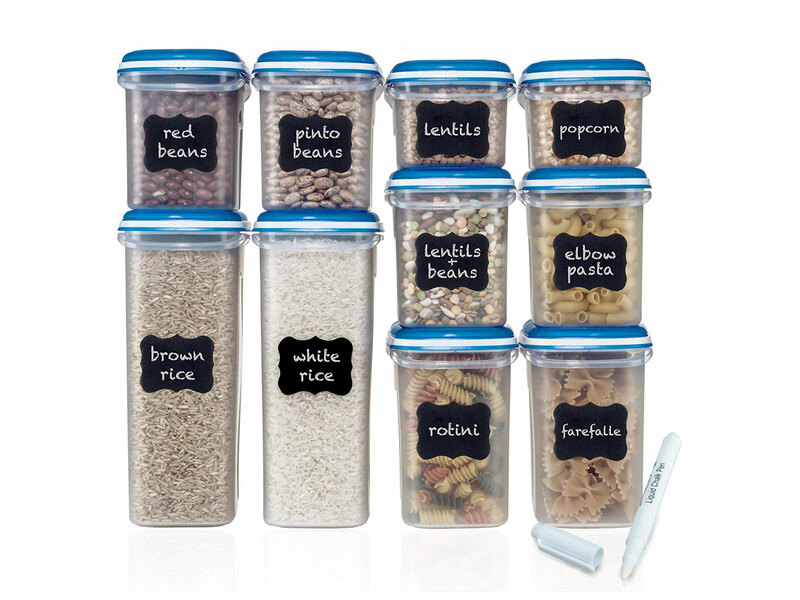 Spark joy with the best organization ideas and storage products to get your kitchen and pantry in order. If you’ve been on a cleaning and clutter-eliminating spree inspired by the Konmari Method or Marie Kondo’s new Netflix show, you aren’t alone. January is the time for planning your big kitchen cleanout, re-organizing your pantry, and getting your meal prepping gear in order for the year to come. If you’re dreading opening the pots and pans cabinet, or can’t close your utensils drawer (that blasted potato masher! 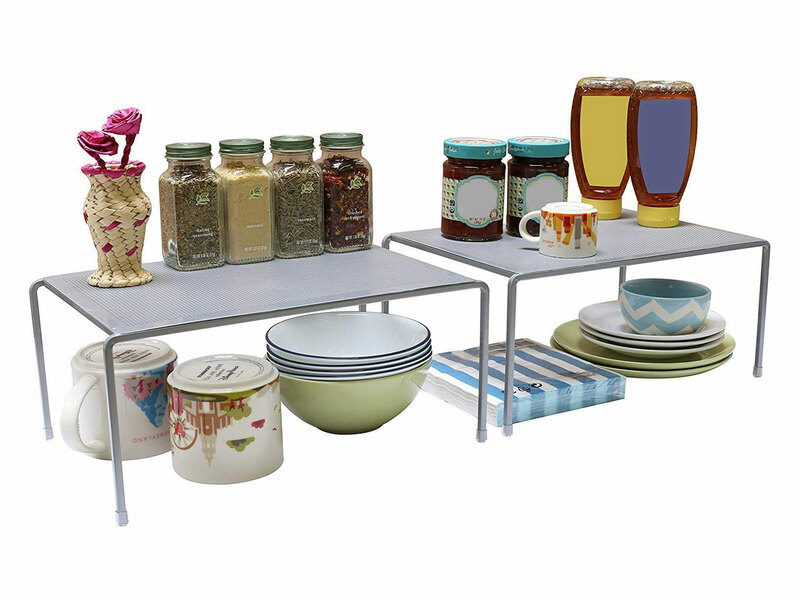 ), there are plenty of storage solutions that will spark joy. We’ve rounded up several products that will send you on your way to kitchen and pantry greatness, one spice rack at a time. 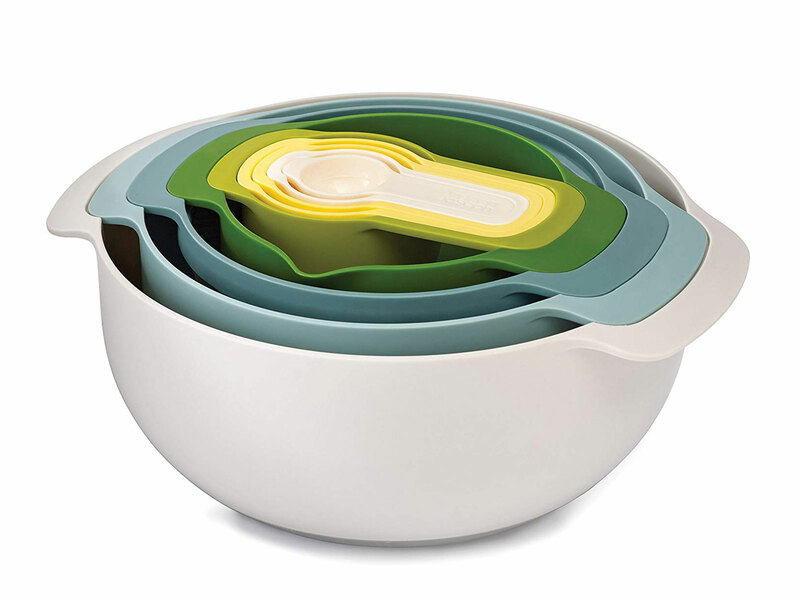 A lazy Susan or two can go a long way, as can nesting bowls for tight storage spaces. See below for some the best options on Amazon. 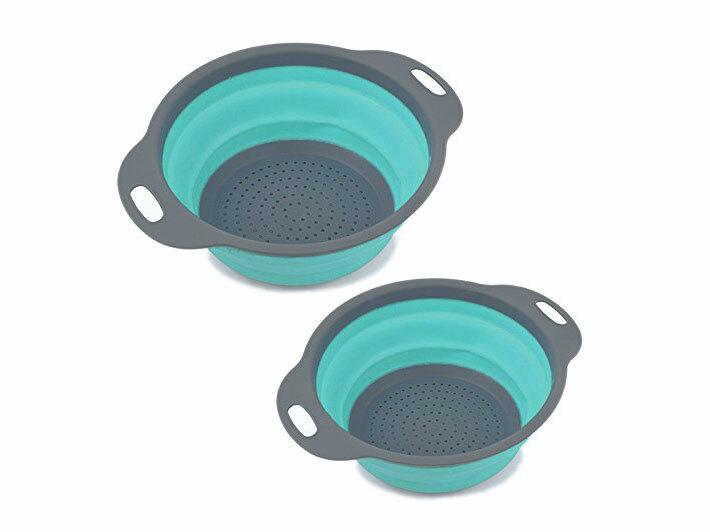 This set does it all, with mixing bowls, sieve, colander, and measuring spoons all in one nested space. 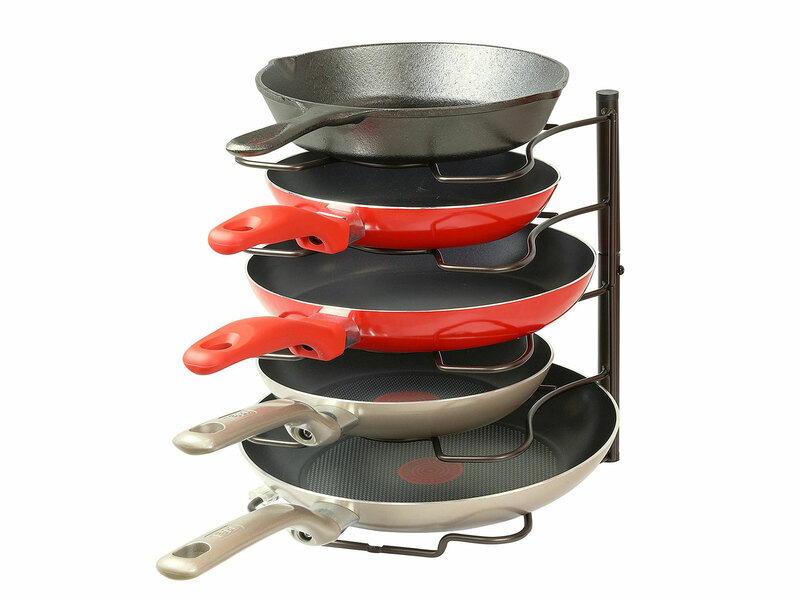 An easy fix for the pesky skillets and pans. Stack them vertically or horizontally. Rice and sugar bags toppling out of your pantry? 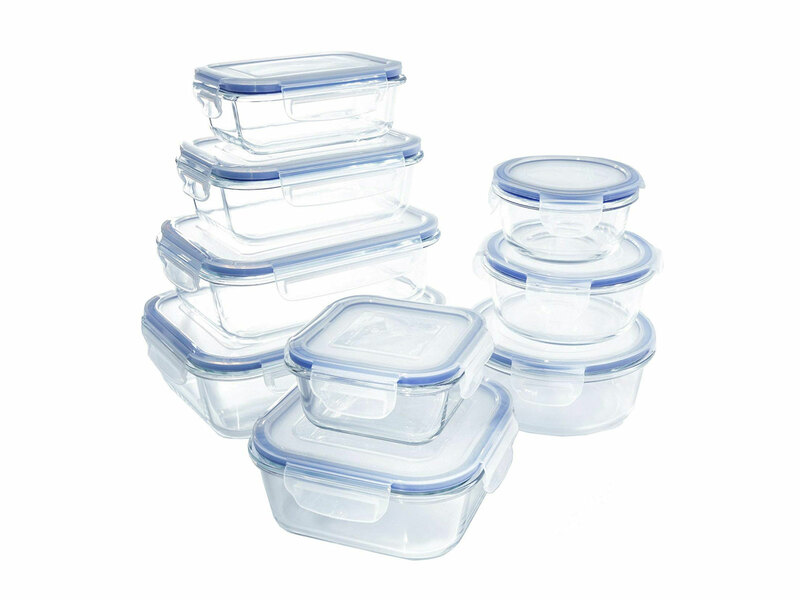 Store and label them all in airtight containers, then stack, stack, stack. 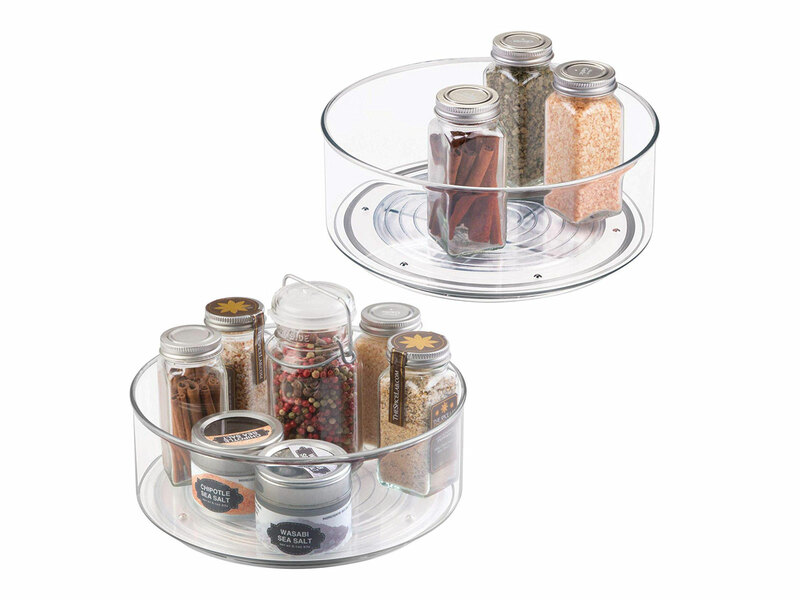 No more reaching over and knocking seasoning salts and pepper mills out of place with this swiveling turntable. Create new space underneath your sink with these simple shelves. Those loose grocery bags now have a destination and are guaranteed to be reused. 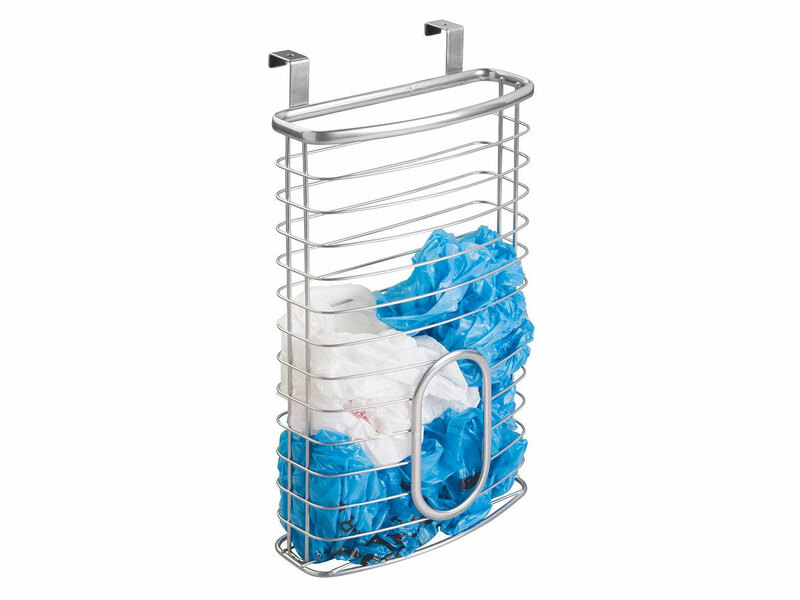 A strainer that you’ll always need but never know where to put: now in a foldable format. 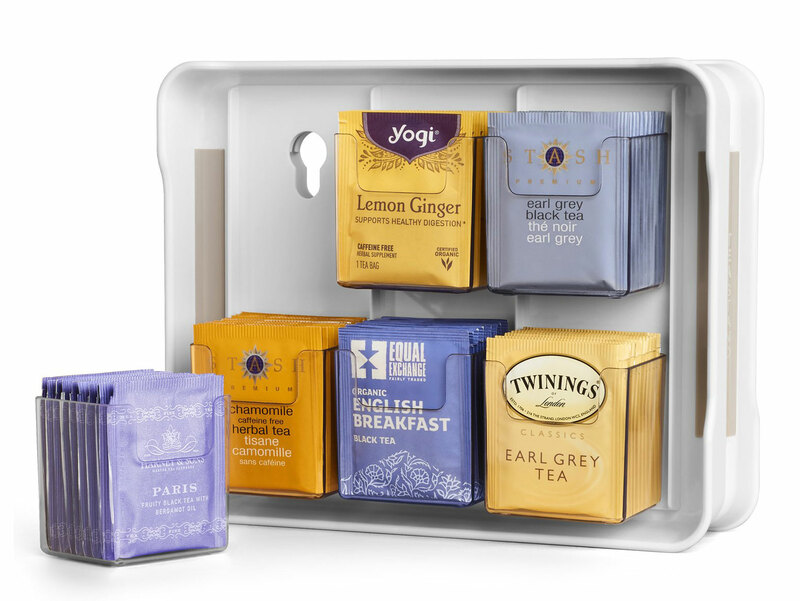 Keep your tea collection in order with this stand which holds 100 tea bags. 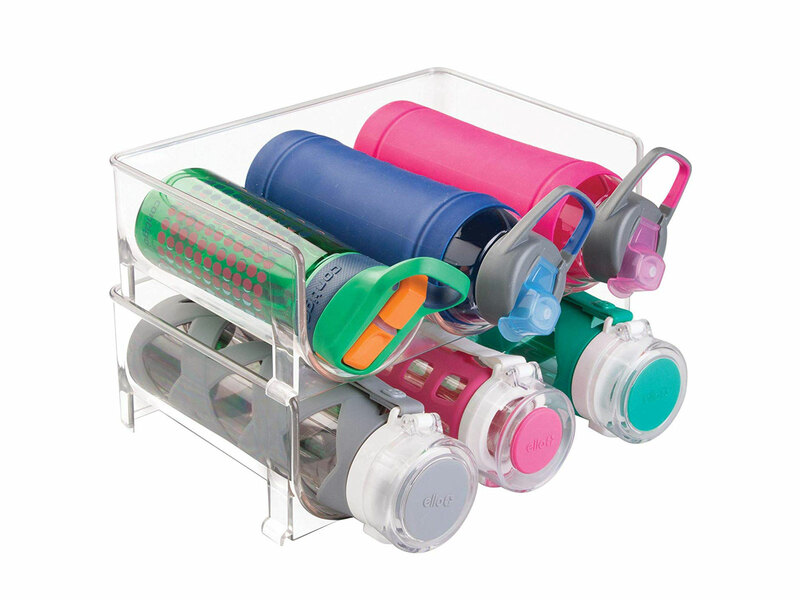 Tired of water bottles rolling around in the cabinet? This is the easiest way to stack them. Your lunch and leftovers deserve better than takeout containers. Use these glass versions from fridge to freezer to microwave and back again. 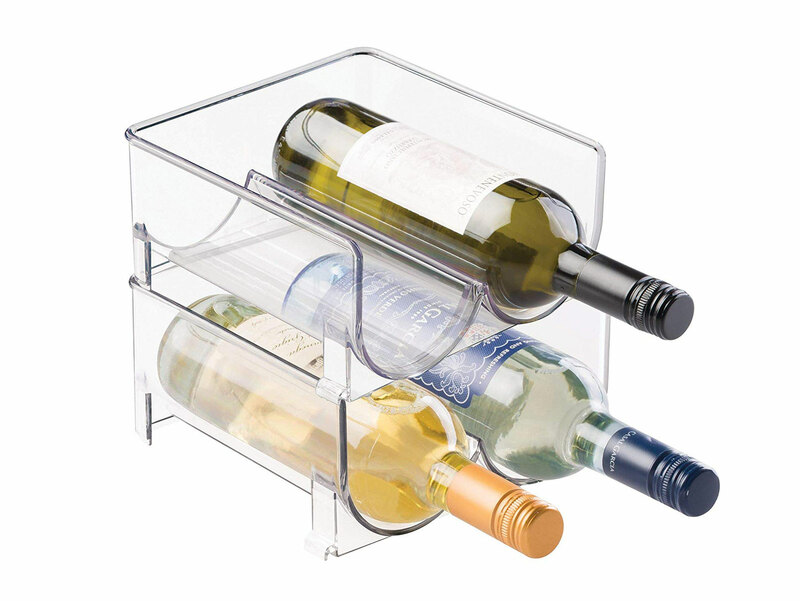 We know your whole wine collection sparks joy, so keep those bottles in a properly organized manner. 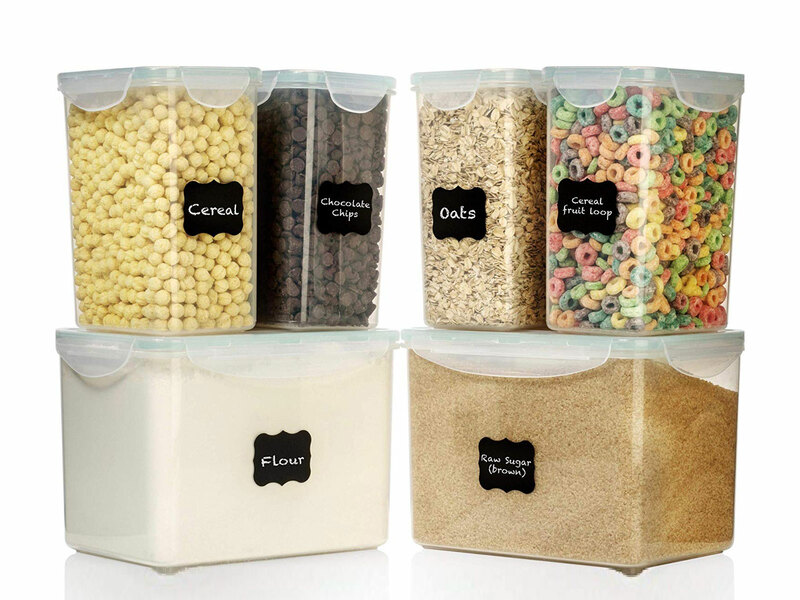 For your big cereal boxes, pet food, and plenty of flour, these bigger sizes will do the trick.